Yes that’s right we have now got stock of Elm, grown in Scotland. There are certain areas in Britain where Elm trees still grow successfully, which is great news for boatbuilders and traditional woodworkers, as elm has some wonderful properties. Elm is traditionally used for items such as keels and lock gates as it is highly durable when permanently wet. It also has some other useful properties such as resistance to splitting. For more about the uses and properties of elm see below the price table. Elm is a beautiful timber that, until the ravages of Dutch Elm Disease in the 60s and 70s, was much used in Britain due to its availability and versatility. The large majority of Britain’s elms were killed in this period, but there are certain areas where it still grows well, including Brighton (thanks largely to the management policy of the council) and Cornwall (especially the Isles of Scilly) and parts of Scotland. In most areas it still regenerates in hedgerows, from roots which survived the original attack, but before it becomes a mature tree the Dutch Elm Disease fungus kills the young saplings. Elm has especially beautiful grain and character, but it has many other properties useful to the woodworker. Elm can be bent (when fresh and unseasoned) in much the same way as oak. 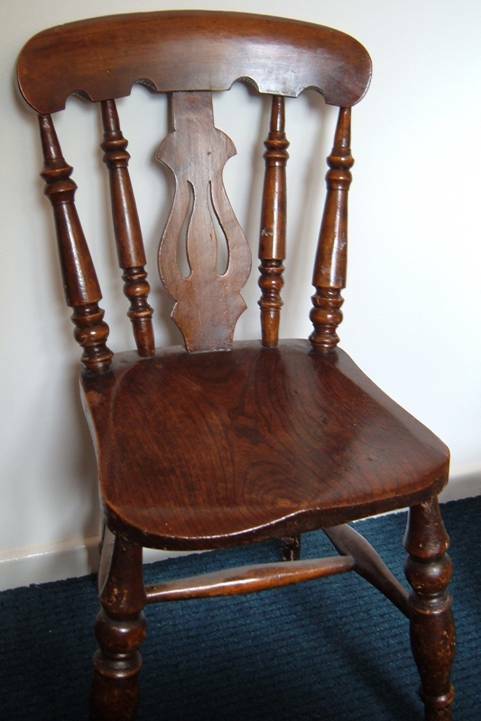 It is a strong and tough timber, with particular resistance to splitting, hence traditional chair bases were made of elm as other local woods could never have been cut to a width of 16 inches or so without a strong likelihood of splitting. For the same reason elm was the wood used for the hubs of cartwheels. A simple kitchen chair showing the typical elm base. Elm is also highly durable when permanently wet, which led to it being used for boat keels, lock gates, pilings, even water pipes. In 1926 a length of elm water piping dating from around 1690 was dug up in Carmarthen and found to be still sound. Probably the most common use of elm which we can still appreciate today is furniture. Although sometimes mistaken for oak, much pre-Victorian furniture was partly or wholly made of elm. With modern furniture construction methods (using chipboard etc) elm has been used mainly as veneer which shows off its beautiful grain. Elm can be difficult to work thanks to its uneven grain, though modern machine tools largely overcome this. 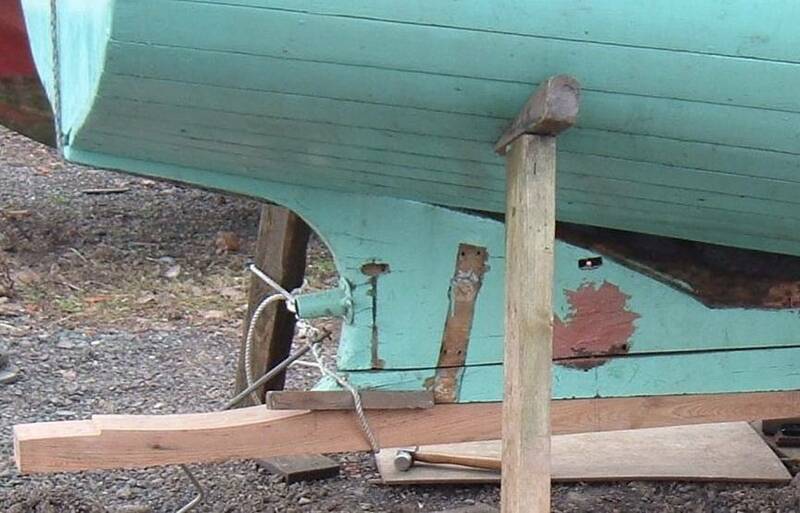 Here is a new skeg constructed by the proprietor of Boatbuilding Timber Supplies a few years ago for a local boat which has an elm keel, and originally had elm frames. New skeg ready to bolt on.